I reached out to Compass to see if I could purchase Sheets 1 and 2. Bill responded within the hour and sent out the replacement sheets at no charge! Thanks again Bill and Compass - very much appreciate the service! I second this! I somehow lost a card from Enemy Action:Ardennes, sent an email, and received a replacement card a few days later in the mail - very much appreciated! 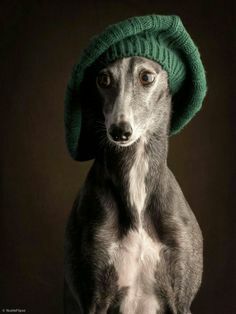 You sure it's a Greyhound and not a Greenberet? The dog eats people and .... he made me watch. He made me waaaaaaaaaaatch .....! Uh ... so, how's the game? Dont’t Quite know - got NATO set up before Dogmageddon happened. That sort of customer relations can be invaluable. I had a similar experience with GRD games on two occasions several years ago. They made a fan for life with that generous gesture. Yeah, I had a similar experience last month. Their customer service was great. Now, if I could just get someone nearby to play Balance of Powers, so I could have an excuse to buy it. I've had a couple of similar experiences with Compass and Bill, and can't speak highly enough of the standard he and his team have set. Superb quality in their components, excellent customer service, and an expanding inventory of exciting and intriguing designs? Compass is more than worthy of your support, as consumers and as gamers. My experience with Compass is limited, but it's good, and I would support that. There are about six or seven game companies which I would rate 'first class', and Compass is one of them. Bill is a real gentleman and wonderful to work with. Compass has developed into a very fine game publisher, one of my favorites, and both their quality and price point are among the best in the hobby. Great to hear of the excellent customer support. Certainly beats Hasbro. Years ago the small child of a friend discovered what great fun it was sending "Axis & Allies Pacific" ships down an old pipe in his back yard. They wouldn't even let me buy a replacement set, never mind send me anything gratis. I always look forward to each "new product announcement" from Compass and hope they're around long after I'm gone. You're assuming he's not both. Ready to free the oppressed on a moment's notice. This photo is both disturbing and wildly amazing in the same breath.